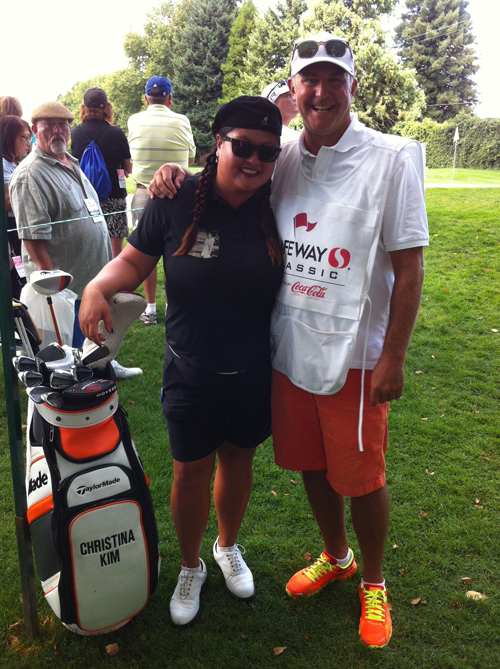 Scott of CRI, pictured here with his friend Christina Kim, had a busy week volunteering during the Safeway Classic LPGA event in Portland, Oregon which raises money for many local children's charities. Scott has been involved with Tournament Golf Foundation, a Portland based non profit whose mission is raising money for local children's charities, for over 10 years. Tournament Golf Foundation is the managing organizer of the Portland Classic LPGA event which has become the largest annual professional golf event in the Pacific Northwest and has generated more than $17 million for local Portland charities since 1972.